This November 3rd, more than ten communities in Colorado will attempt to escape the local-authority-revoking effects of SB 152 by overriding its restrictions at the polls: Archuleta County, Bayfield, Boulder Valley School District, Durango, Fort Collins, Ignacio, La Plata County, Loveland, Moffat County, Pitkin County, San Juan County, and Silverton. Many of these communities participated in a $4.1 million fiber infrastructure project which currently provides public entities (municipal buildings, libraries, and schools) with cheap, plentiful Internet access. 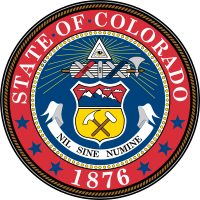 To determine how to better utilize that existing fiber infrastructure, the Southwest Colorado Council of Governments received a $75,000 regional planning grant. The 10 year old law in question, SB 152, prevents local governments from taking full advantage of local fiber assets by removing local authority to offer any services that compete with incumbents; voters must reclaim that authority through a referendum. “It’s an obnoxious law that was passed by the industry to protect their monopoly,” said Geoff Wilson, general counsel for the Colorado Municipal League. The league tried to get the law amended during the 2015 legislative session after hearing from communities across the state about how it was blocking them from improving Internet access for residents. “The law is designed to protect the provider of inferior service from the local government doing anything about it,” he said. Boulder Valley School Board owns about 100 miles of fiber which currently cannot be used to improve the connectivity of the surrounding community. Polling over the summer showed that 60% would approve of opting out of SB 152. Moffat County, the City of Moffat, local businesses, the school district, and Colorado Northwestern Community College are discussing how to increase economic development through better Internet access. Exempting themselves from the restrictions of SB 152 would create the opportunity to explore public-private partnerships and allow the communities to pursue the options that best meet their needs with high-speed, affordable connections. The City of Durango also already owns about 19 miles of fiber, leasing out 14 miles to private providers. Even the leased lines, however, have extra capacity that the city would like to be able to use. Loveland similarly has underutilized fiber, and the school district is especially interested in increasing Internet access among all students. Pitkin County Commissioner Rachel Richards spoke on the possibility of creating a Carrier Neutral Location (CNL) or middle-mile infrastructure and how SB 152 prevented the county from pursuing such projects. La Plata County is primarily interested in the opportunities for public-private partnerships. Other communities, such as Silverton, San Juan County, Bayfield, and Ignacio, are also preparing to vote. Without increasing taxes, shall Archuleta County, Colorado have the legal ability to provide any or all services currently restricted by Title 29, Article 27, Part 1, of the Colorado Revised Statutes, specifically described as ‘advanced services,’ ‘telecommunications services,’ and ‘cable television services,’ as defined by the statute, including, but not limited to, any new and improved high bandwidth services based on future technologies, utilizing community owned infrastructure including but not limited to any existing fiber network, either directly, or indirectly with public or private sector service providers, to potential subscribers that may include telecommunications service providers, and residential or commercial users within Archuleta County? Without increasing taxes by this measure, shall the City of Fort Collins, in the exercise of its home-rule authority, have the right to provide, either directly, and/or indirectly with public and/or private sector partners, high-speed internet services, including but not limited to any new or improved high bandwidth services based on future technologies (advanced services), telecommunications services, and/or cable television services to residents, businesses, schools, libraries, nonprofit entities and other other users of such services located within the boundaries of the City of Fort Collins Growth management area, as expressly permitted by SB 05-152 (codified at Sections 29-27-101 to 304 of the Colorado“ Revised Statutes)?